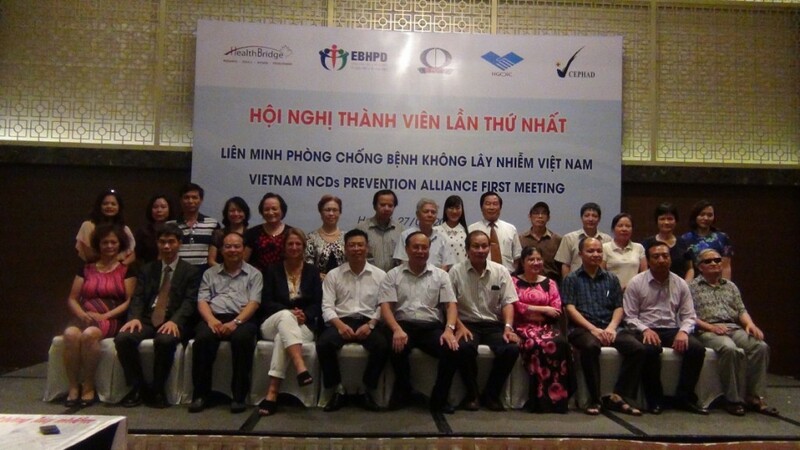 With the aim of announcing the establishment of Vietnam NCDs Prevention Alliance (NDCs-VN) and boosting attention of civil organizations to the event, Research and Training Centre for Community Development (RTCCD) in cooperation with HealthBridge Vietnam, CEPHAD, NGO-IC held the first members meeting at Sofitel Plaza, Hanoi in last August, 27th. The meeting was attended by 59 delegates including leaders from Vietnam General Department of Preventive Medicine; Ministry of Health; hospitals, research institutes and other domestic reporters. Ms Sian Fitzgerald, Executive Director of HealthBridge Canada, said in her opening speech that the increasing NCDs, which is a global crisis both in developed and developing countries regardless of age or income, has become the biggest obstacle to not only development but also social and health equality. At the earlier workshop, “The role of civil society organizations in policy advocacy for prevention of tobacco and alcohol harm in Vietnam” in July 14th, 14 civil society organizations gathered together and agreed to establish the coalition against NCDs. After a period of preparation, four pioneering organizations including RTCCD, HealthBridge, CEPHAD and NGO-IC have jointly established the committee to advocate the establishment of NCDs-VN. After its establishment, NCDs-VN was expected to be a forum in which organizations and individuals, irrespective of social background, share goals and common action plans along with the progress of public health sciences, medical sciences, political economics – social sciences, and recommendations of the World Health Organization (WHO) to fight against NCDs globally. At the conference, 6 organizations and 16 individuals have committed to participate in the alliance as official members. The members also agreed to adopt the operational regulations, objectives and personnel structure of the alliance while proposing direction for the action in the period 2015 – 2016. 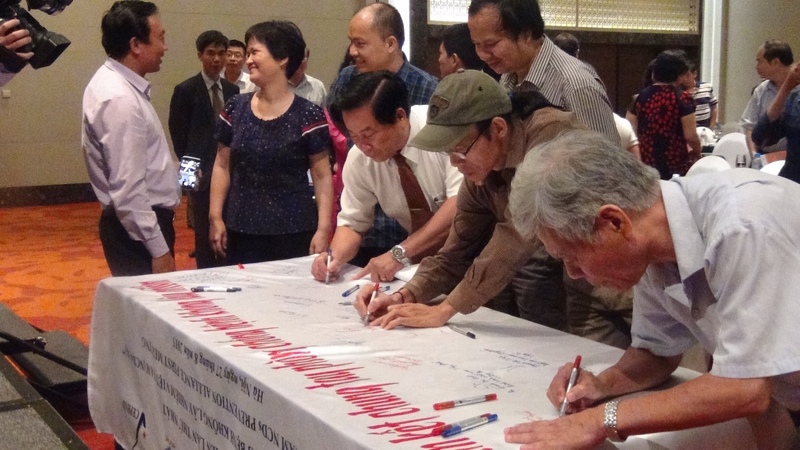 At the end of the workshop, the delegates signed the commitment expressing their determination to act against NCDs in Vietnam for the health and happiness of the country. The advocacy committee will organize discussions to share the detailed action plan in the near future. The workshop was organized with support from the Evidence-based Health Policy Development Advocacy Group.